Traditional Italian wedding ceremonies are celebrated in a grand way without leaving a stone unturned. The couple, who are going to witness the grand celebration, often look for some of the world-class arrangements in a memorable way. The beautiful country is famous for its celebrations, rich history, culture, and traditions. Weddings are similar to many weddings in the world, but with a few Italian quirks here and there. The Wedding Ring – Wedding rings are common throughout the world, but for different reasons. In Italy, the wedding ring is referred to as ‘Vera’ that stands for fidelity. Rings are traditionally engraved on the inside with the couple’s names – the groom’s inside the bride’s name and the bride’s inside the groom’s name. The Wedding Veil – It is used to cover the bridal’s face until after the marriage has been finalized so as to keep her beauty a secret. In Italy, It is a tradition to hand a veil down through the generations so you could be wearing something hundreds of year old. The Confetti – In Italy, Confetti is thrown in odd numbers as originally there would be just five pieces to symbolize the 5 qualities of marriage that include health, fertility, longevity, happiness and wealth. 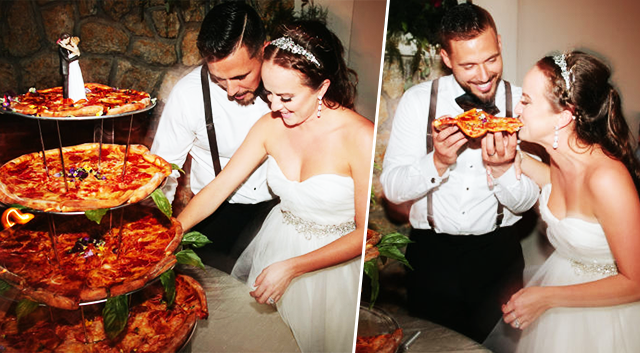 In Italy, the couple walks among the tables after the cake cutting – with groom carrying a tray of confetti and the bride handing it out in odd numbers. There are various other arrangements done in Italian Wedding Ceremonies. Professional wedding planners help you at every step to stay in touch with your rituals.